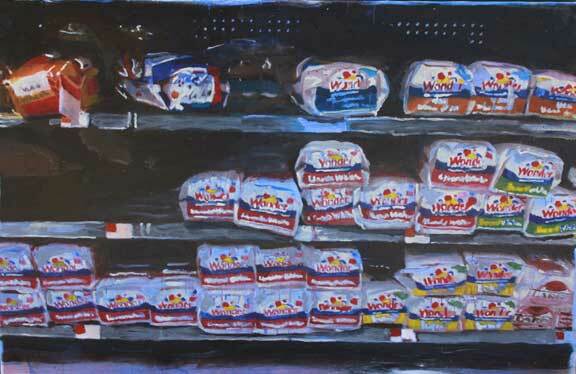 Artist Brendan O’Connell paints Walmart interiors. He makes them look fantastic. 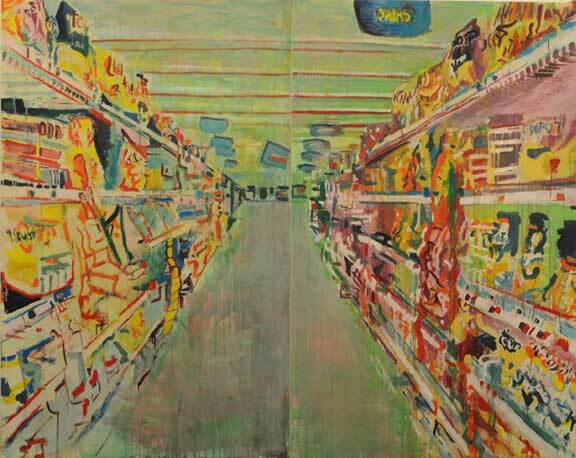 Brendan O’Connell, an American painter born in Georgia but now residing in Connecticut, likes to paint the interior of Walmart stores. 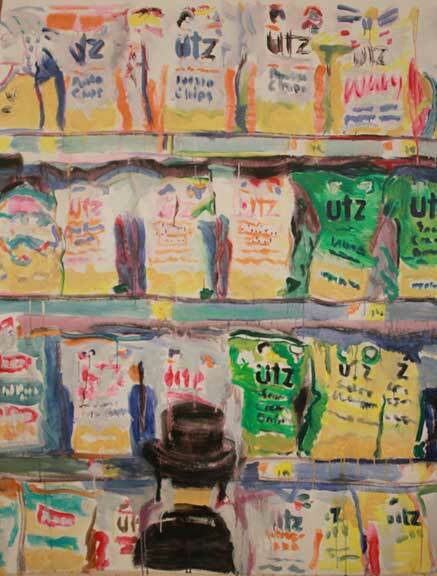 In addition to sweeping scenes which capture – pretty accurately – the bad fluorescent lighting of these vast warehouses, he does a lot of vignettes that prominently, though sometimes very abstractly, feature grocery store branding that we’ll all recognize. I’m a sucker for branding; food branding especially. 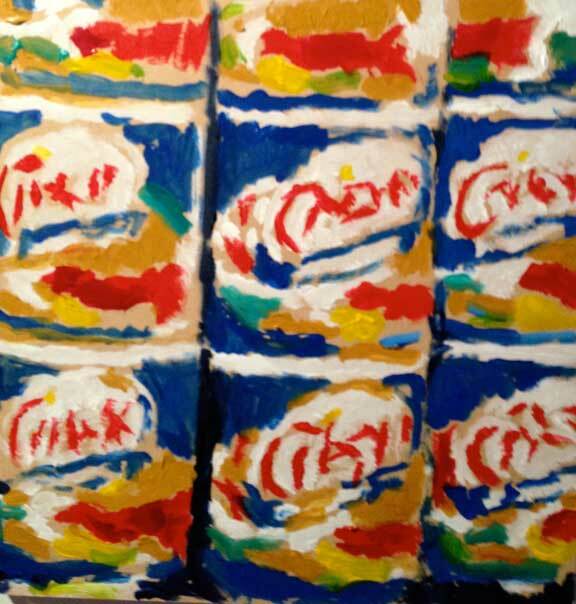 I really love this highly abstracted painting of a Crisco cooking oil display, which you may also recognize if you frequent a grocery store as much as I do. According to his website, his work ranges from photo-realistic to abstract expressionist painting (which is what I’d say is most fitting to this series), and he studied his craft in Europe before returning home to America. His wife is also a painter, so that must be a house with very adorned walls! You can purchase originals here. ← Another Instagramed View of Durham.